It's the former home of Dr. David Fairchild, a legend among horticulturists, and most Miami natives don't even know it exists since this secret garden is hidden behind a red gate and tons of exotic plants. Located in Biscayne Bay's Coconut Grove neighborhood, you'll find plenty of eye-popping plants and picture opportunities here. Want to enjoy nature with the family without South Florida's typical hustle and bustle or loads of tourists? Head over to Bear Cut Nature Preserve at the north end of Crandon Park. Some call it the best-hidden nature trail in Miami, and it offers a 3.5-mile look at SoFlo's diverse ecosystems via paved and dirt trails. There's a little bit of everything for the whole family to enjoy in this great Dade County spot for locals that sits just south of Miami. You can shop the indoor and outdoor flea market that includes a farmer's market and fish market, among other shopping locales. You can even pick up a pet for the kids at the pet store, or let them enjoy the kid zone's petting zoo and rides. Want to enjoy Key West without having to drive all the way down there? Then take a trip to underrated Islamorada for the day. It's not as crowded as Key West and is perfect for locals who want a quick getaway from the lights, camera, and action of Miami and other SoFlo spots. Hit Anne's Beach for a picnic, personally feed the super-aggressive tarpon at Robbie's Marina, or swim with the dolphins at Theater of the Sea. Regardless of your age, you'll love it here. And even if you're a So Fla. local, it's likely you never knew something like this existed. Why? Because you can book private tours that make you feel like the zoo is yours as you get incredibly up-close and hands-on with animals like chimpanzees, sloths, owls, big cats, and more. You can even get selfies with baby lions and tigers! South Fl. locals know the area isn't just glitz and glamour, and this is a perfect example. Technically, you can see sea turtles lay their eggs up and down the entire Atlantic Coast, but in Broward, you can join groups to enjoy the experience from John U. Lloyd Beach and the Museum of Discovery and Science in season from March to October. The Miami Dolphins, Heat, and Marlins soak up most of the fame when it comes to South Florida sports fans, but there's one sports locals may want to check out: Jai-Alai. Any SoFlo local will remember tons of Jai-Alai TV commercials in the past, and if you haven't done so, check it out in person. They call it the fastest sport in the world, with balls traveling at nearly 200 miles per hour. South Florida locals know about their Marlins, but in February and March, several other Major League Baseball teams call SoFla home as well, such as the St. Louis Cardinals, Washington Nationals, and the Houston Astros. It's an excellent opportunity to get up close and personal with some of those big league stars you see on TV. 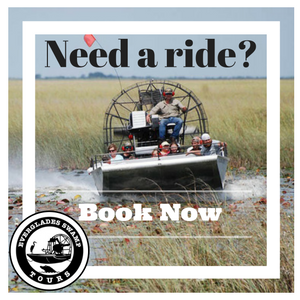 There's no need to head down south towards Broward and Dade County to see part of the world-famous Everglades. At Grassy Waters Nature Preserve, Palm Beach County locals can enjoy that experience without wasting gas money. The preserve is family-friendly, affordable, has nature trails, canoes, kayaks, and much more. No matter how long you've lived in South Florida, here's one thing you've probably never experienced as a local: Living underwater. At Jules' Undersea Lodge, you can do just that. It is pricey and not too luxurious, but it is an experience that's unique and something your kids will love. If the thought of sleeping in an underwater hotel freaks you out, there's the option just to do it for three hours to get a little taste of that submarine life. Looking for other local hotspots in South Florida? Have a look around our site where you'll find attractions from Boca Raton to Bahia Honda State Park and beyond.